Not quite into pink or blue, why not keep your baby gift to the proud new parents gender neutral! 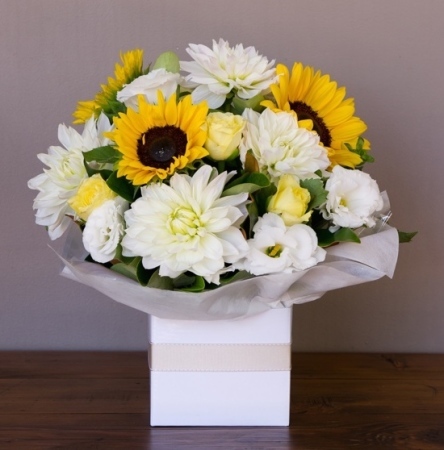 Send your congratulations and thoughts with this beautifully arranged box filled with gorgeous fresh white, lemon and yellow flowers. A perfect way to convey your well wishes.